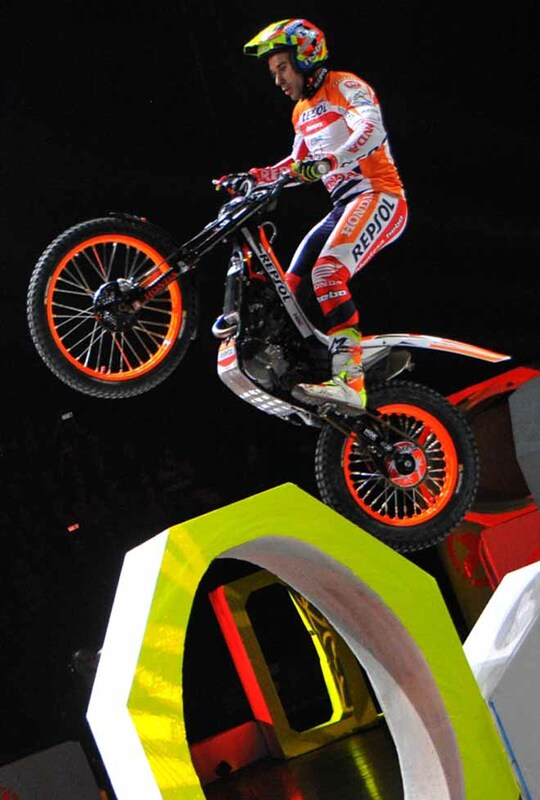 The reigning X-Trial World Champion Toni Bou (Montesa) took a majestic victory in the second round of the campaign, in front of the French crowd in Montpellier´s Sud de France Arena. 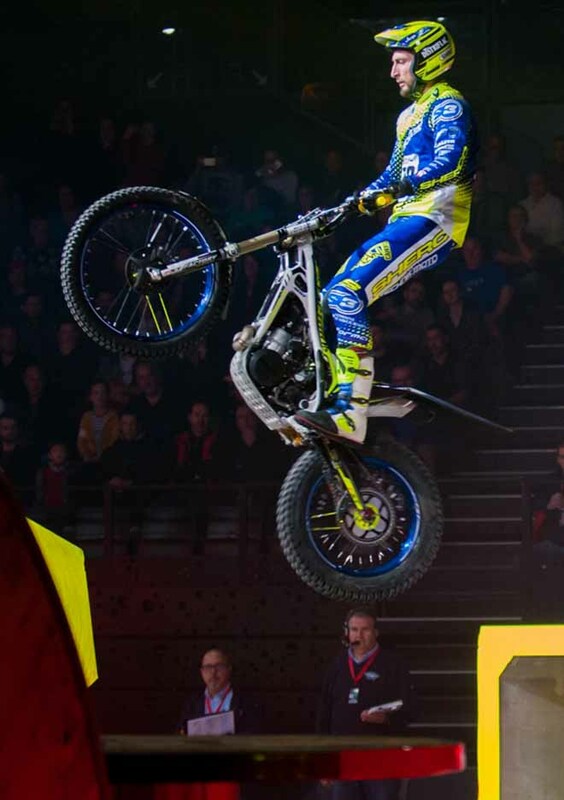 The X-Trial proved particularly demanding for the riders, providing not only close scoring, but an exciting spectacle and contest for the podium places, which were decided by minimal margins. In the Final itself, Bou claimed victory by a five-mark margin over Adam Raga, gaining critical advantages in the second and fifth sections. 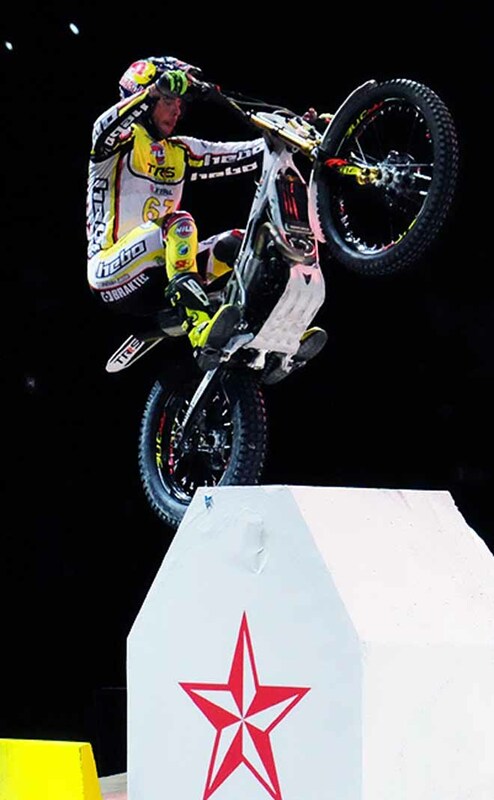 The TRS rider gained back a single mark in section four, but then conceded two in section five and Bou was able to put one hand on the trophy. Raga´s best moments were arguably reserved for the second round of Heats where he came out on top and James Dabill (Beta) was the best-scoring non-qualifier to claim the third step on the podium. 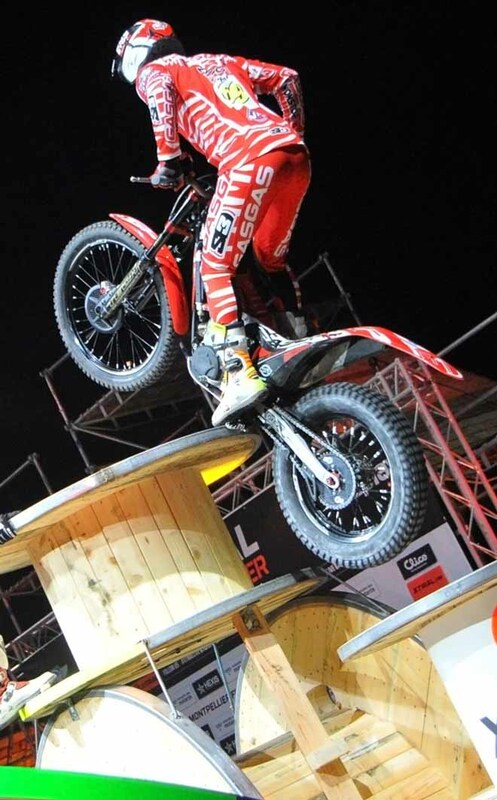 Benoit Bincaz missed out on a first podium by just two marks despite a stunning performance on the challenging Section Two, but claimed fourth position on countback after a tie with Miquel Gelabert. 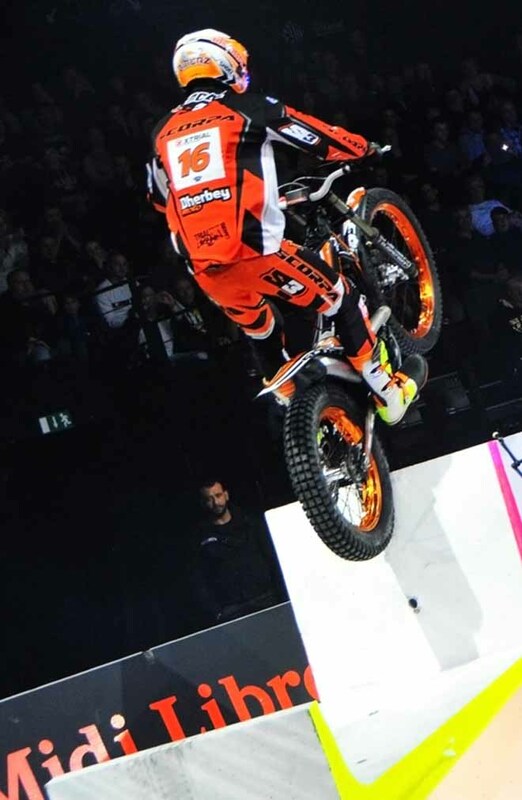 The young Spaniard´s fifth place finish, as the best ´event rider´ sees him progress as an automatic qualifier to the third round of the Championship in Toulouse next Friday. Jeroni Fajardo finished behind his fellow countryman and last in the second round after three failed sections and with an eighteen-mark total. 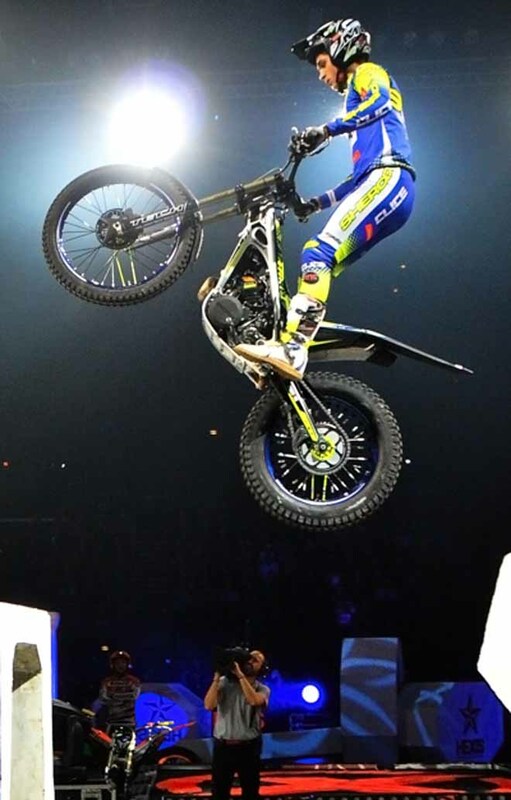 In one of the biggest shocks of the night Jaime Busto, who finished second in the opening round in Vendée, had a catastrophic night that saw him finish at the bottom of the pile in Montpellier. Having fallen to a five-mark score in section three, he dropped to fiascos in the last two sections of the lap and to elimination. 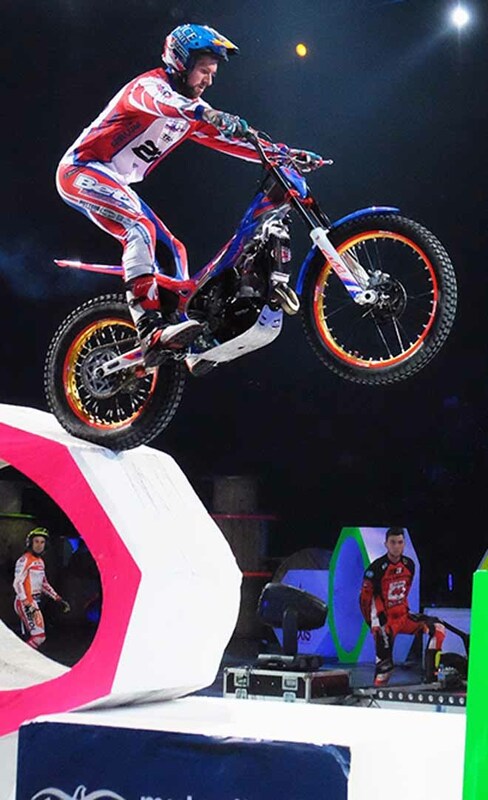 Home representative Alexandre Ferrer (Sherco) and Japanese legend Takahisa Fujinami (Montesa) were also eliminated in the opening round of Heats. 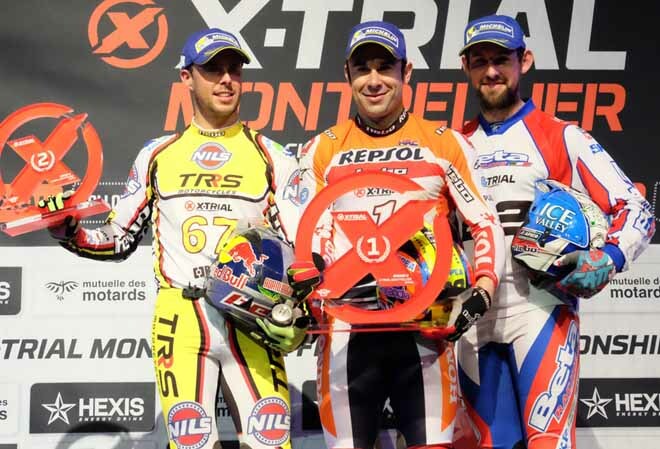 MotoGP star Alex Rins was among almost 5,000 spectators in the stands in the Sud de France Arena. 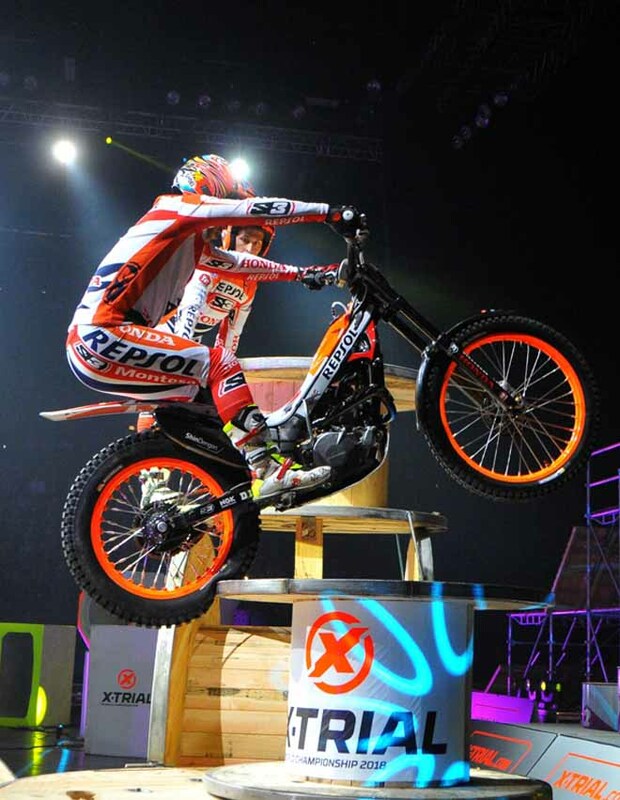 The third round of the FIM X-Trial World Championship takes place in Toulouse on 19th January. 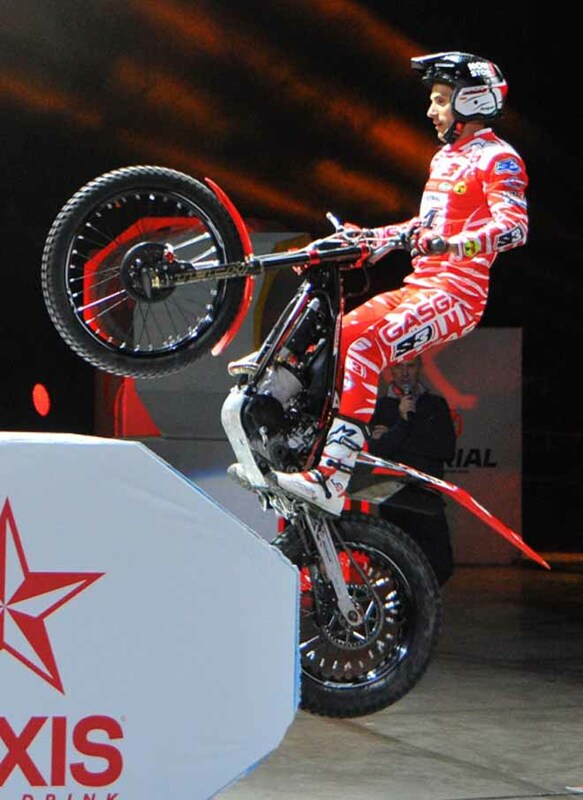 Continua a macinare vittorie Toni Bou (Montesa), trionfatore anche in questa seconda prova, organizzata a Montpellier´, nel sud della Francia. In finale ha staccato di 5 punti il solito Adam Raga (TRS). Terzo James Dabill (Beta). Serata negativa per Jaime Busto, che si era piazzato secondo a Vendée. Con tre "fiaschi", non solo è stato eliminato alla prima fase, ma è anche finito in fondo alla classifica. Correre "in casa" fa invece bene a Benoit Bincaz (Scorpa), che non ha centrato il podio per soli 2 punti, ma ha comunque preceduto un altro giovane, lo spagnolo Miquel Gelabert (Sherco), giusto per il numero di zeri. Terzo round a Toulouse il 19 gennnaio.